Bumper motorcycle and quad protection. 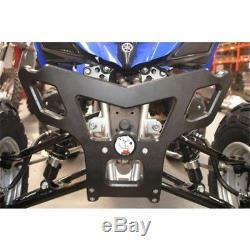 Bumper baxper axp phd yamaha yfm 250 raptor reference: 4411235 - ax1235 brand: axp. This product is compatible with. Yamaha yfm 250 r raptor 250cm3 (2008, 2009, 2010, 2011). Yamaha yfm 250 r raptor 250cm3 (2012, 2013). The item "bumper ber phd yamaha yfm 250 raptor axp ax1235" is on sale since Friday, August 10, 2018. It is in the category "auto, motorcycle parts, accessories \ quad, trike \ parts". The seller is "boutique-motostand" and is located in / in bayonne. This item can be shipped to the following country: europe.